Resident trainees of the Univ. at Buffalo Dept. of Neurology have again received a Graduate Medical Education Quality Improvement Award to fund a study to increase the yield of cytology and flow cytometry on cerebrospinal fluid. These additional tests on CSF obtained after lumbar puncture are primarily used in detecting malignancies that have spread to the central nervous system. Funds include travel support so that housestaff can present their findings at national conferences. 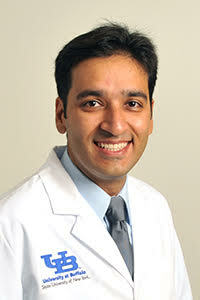 Spearheading the project for the residents is Ashish Arora, MBBS, a PGY3 resident. 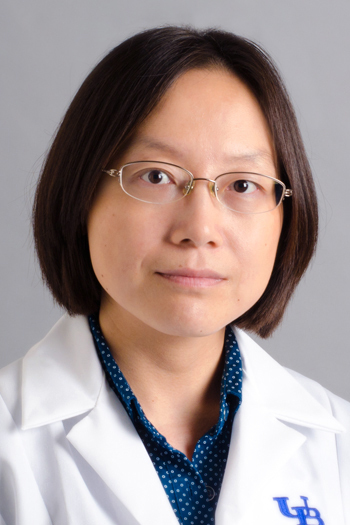 The faculty adviser is Ping Li, MD, MSc, Assistant Professor of Neurology and director of the adult epilepsy program.